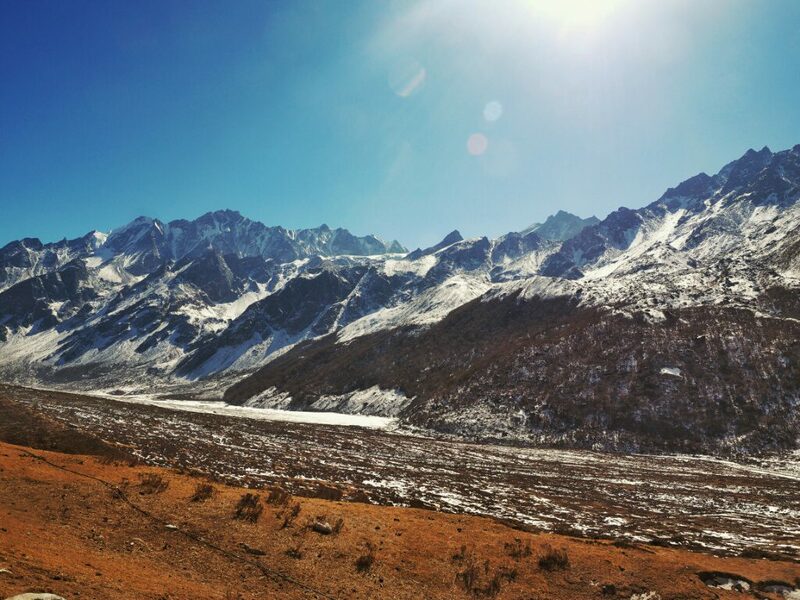 Langtang National Park was the third most popular trekking region in Nepal after the Annapurna and Everest regions. This changed considerably after the devastating earthquake that hit Nepal on the 28th of April 2015. 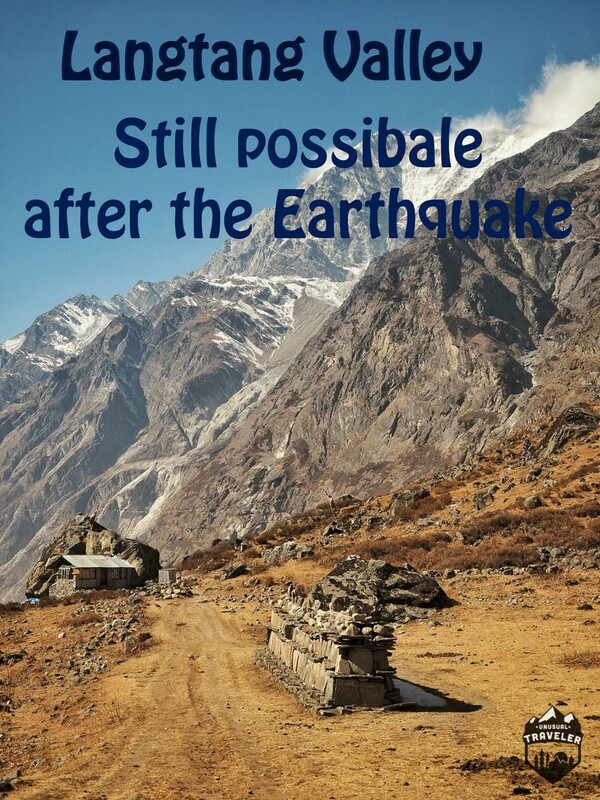 Langtang Valley is now considered to be ground zero of the earthquake. 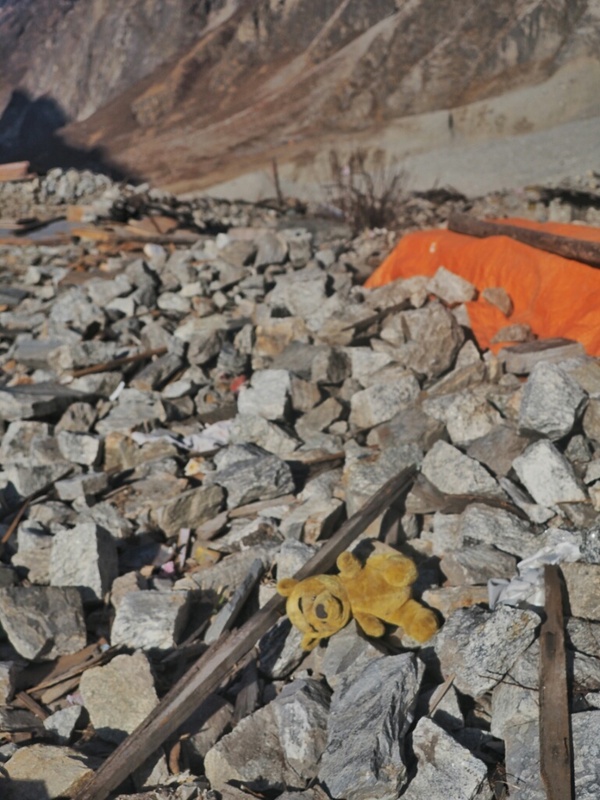 Just a few days after the earthquake the already damaged village of Langtang was hit by an enormous landslide and got completely swept away. And just like that, the biggest village of the region ceased to exist. There’s been a lot of rumors and lies online on the world’s biggest traveling forums and guidebooks, that since the earthquake happened the Valley is closed for trekking. That’s complete rubbish!!! The Valley is open for trekking!! The locals that still live in the Valley were almost begging us to tell our friends and other tourists we met that Langtang Valley is 100% open for business. The locals say that the only way they can continue their life is if tourists come back to Langtang Valley. And I did meet a few other hikers on the trek plus a few porters carrying building materials up the Valley. I completed the trek on the 21st of May 2016. 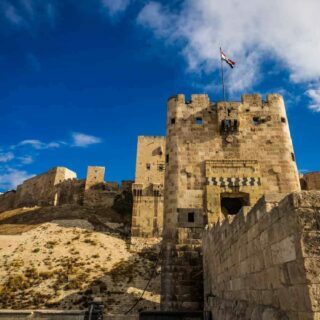 The lower path from Syabrubesi to Renche is now open. There are 2 lodges in Langtang that are open with a couple more that looked pretty close aswell. In Kyanjin gompa about 10 lodges are open at the moment. Hopefully this helpsDay 1. Kathmandu – SyapruBesi, Bus. The fast tourist bus from Kathmandu to SyapruBesi stopped running just days after the earthquake happened. The only direct bus these days leaves at 8 am across the Buddha Mall in Kathmandu. The price is 700rps and it takes about 7 hours including a 40min lunch stop in Nuwakot. The road is surprisingly good compared to the average Nepali road, with only a section before Dunche being bumpy. There’s Two, TIMs card and permit checkpoints Dunche. You will arrive in SyapruBesi around 3 pm. So you will most likey spend the first night in SyapruBesi since it’s about two hours of climbing to the next place with accommodation. Day 2. SyapruBesi (1503m) – Kangjim (2228m) – Sherpogan (2563m) 5,5-6 hours walk. 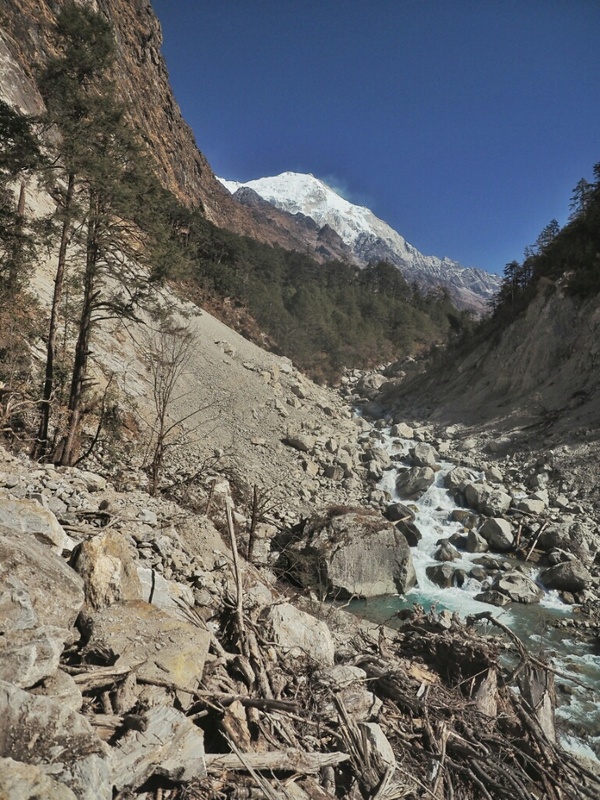 Since the new path along the river got destroyed by the earthquake, now the only option to reach the Langtang Valley is the old high path trough the small village of Kangjim. You start the day off with walking trough SyapruBesi, just following the road that leads to Tibet, but instead if going to the “Forbidden Kingdom” you have to turn right just after a military checkpoint, where they will check your TIMs card once again. That path continues across a small hanging bridge before you start climbing, first will you reach the now completely broken village of “Wanga”, the village is no more than a pile of rocks after the earthquake. After Wanga will you follow a newly built jeep road almost all the way to “Kangjim” that you will reach after about an hour after Wanga. Khangjim has a few guesthouses and is an ideal place to stop for lunch. The path continues up, and more up for another 2 hours until you reach the highest point of the day, a small pass at 2725m. After the pass you’ll still have another 1.5 hours of easy walking trough a pine forest and along a ridge until reaching the small village of “Sherpogan” at 2563m. Sherpagon has 5 guesthouses. Day 3. Sherpagon (2563m) – Rimche (2399m) – Lama Hotel (2410m) – Hotel woodland (2790m) – Mundu (3543m) 8.5 -9 hours. All the places mentioned above are unharmed by the earthquake and should have open guesthouses for the 2016 season. The places that are not mentioned are totally gone, including Langtang Village. Since most of the settlements in Langtang Valley are gone, it turned out to be a very long day of hiking. Rimche, Llama Hotel, and Hotel Woodland were all standing strong but were closed at the time I passed trough. There’s absolutely nothing left standing between Hotel Woodland and Mundu, so you should carry extra food with you. Parts of the old path had been swept away by landslides with the new path crossings across. 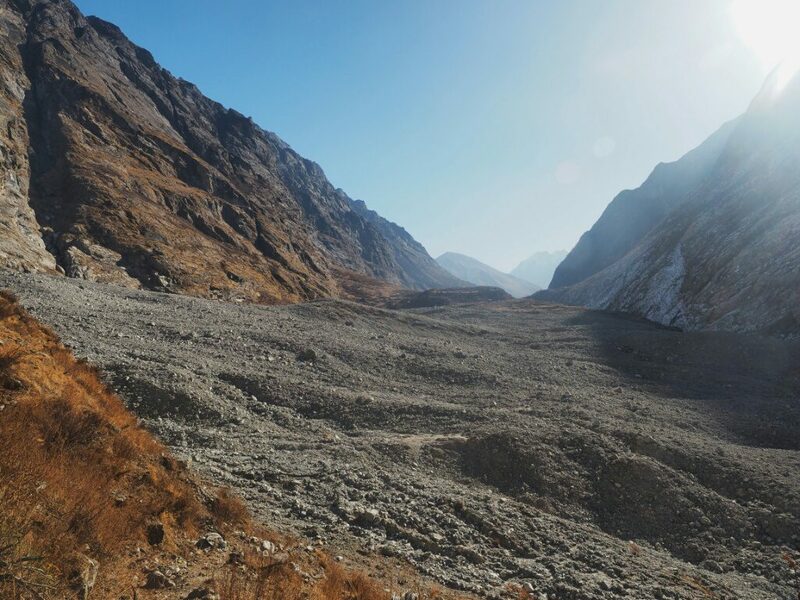 You will have to cross through 3 landslides, with the biggest one being across where Langtang Village used to be. 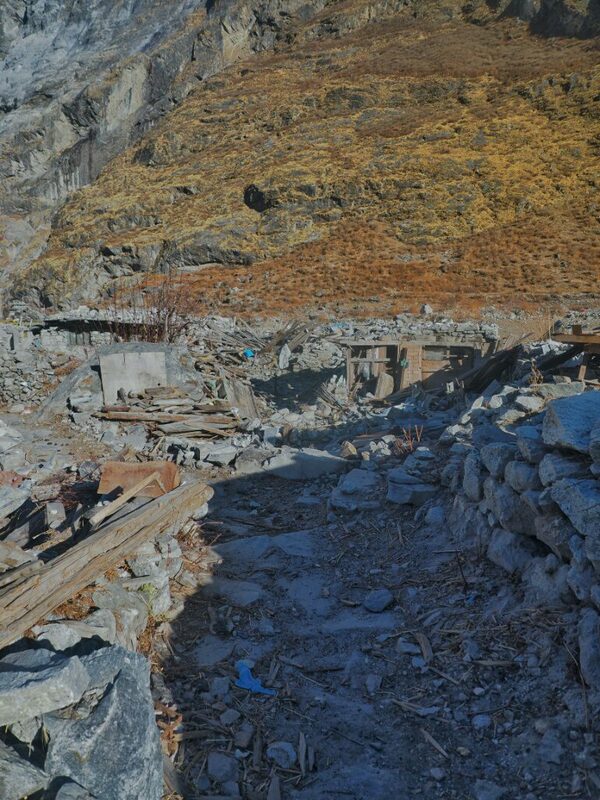 It is definitely not a pleasant walk through the few hundred meters of Langtang landslide. You will see personal artifacts and old remains from the village sticking up. It looks like you are walking trough a war zone. The path is dodgy and it’s not recommended to stay for long in the landslide area. After the landslide, there is another 40min – 1hour walk to you reach Mundu. You will most likely spend at least a night in Mundu. 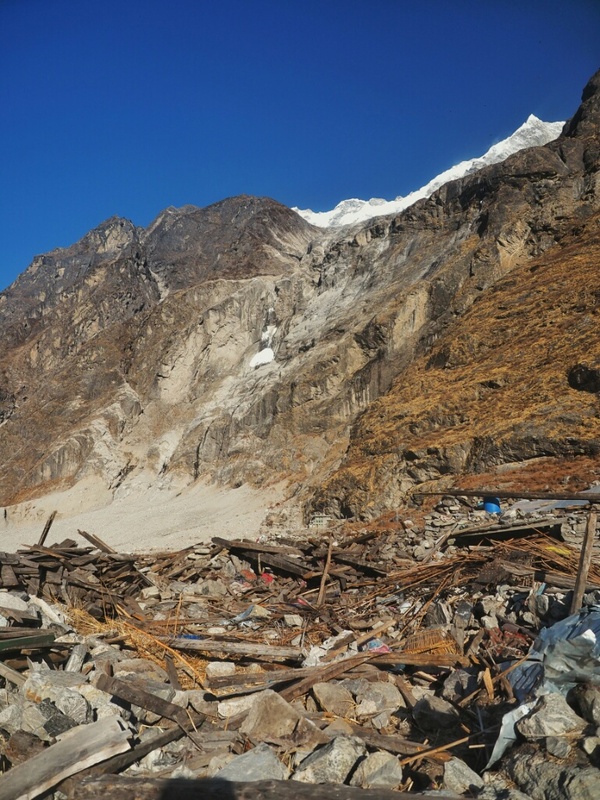 Kyanjin Gompa is the last settlement in Langtang Valley where is possible to stay, it remains mostly intact with only a few guesthouses damaged from the earthquake. There still are about +10 standing guesthouses. Kyanjin Gompa was closed down when I walked there. The locals had walked down to SyapruBesi and Kathmandu to celebrate Tibetan new year, but it should be up and running again in late February. The walk from Mundu to Kyanjin Gompa is a very easy 1.5-hour walk with a few easy acents. You pass by a Tibetan Stumpa that seems intact after the earthquake after about 1.5 hours of walking. From the Stumpa is it only 30 min more walking to reach Kyanjin Gompa. Would have loved to stayed in Kanji, but since everything was shut the only option was to return to Mundu, to spend another night there. Day 5. Mundu (3543m) – Serpagon (2563m) 7 hours. 20 km. The same long day as day 3. You will have to walk all the way back to Serpagon since every settlement on the way is either destroyed or closed. * The locals in Serpagon told us, that at least 1 guesthouse in Rimche would open in late February. *The first guesthouse you reach when approaching Sherpagon from the Tibetan side “Tibetan Guesthouse” is the best place to stay, every room has attached bathroom and the owners are super friendly. Day 6. Serpagon (2563m)- SyapruBesi (1503m) 4 hours. Backtracking down same was as you walked on the first day on the hike, nice and easy day with the small settlement of Kangjin being a good place to stop for tea. There is no reason to stress on the way down, you will have to spend a night in SyapruBesi anyway since the only bus back to Kathmandu leaves at 7.30 in the morning. If you want to something about different from hiking during you visit to Nepal, should you head a few days to Chitwan National Park. Additional information about Langtang Valley. There’s an ATM in SyapruBesi. Food – 300 – 550rps. Dhal Bhat 550rps. Tea – 95 – 120rps each cup. I spend about 1500rps a day on the hike, Langtang Valley is a bit more expensive than Annapurna and the Everest region. There’s no WiFi on this hike and you only get phone connection up to Lama Hotel with Ncell. Don’t count on getting your electronics charged will on the hike, none of the guesthouses I stayed had option of recharging your stuff. There’s only one buss a day from Kathmandu to SyapruBesi these days. It leaves at 8 am from across the “Buddha Mall” in Kathmandu and arrives at SyapruBesi at around 15.00. It returns back to Kathmandu from SyapruBesi at 7.30am every morning. The ticket price is 700rps. You will need to get the normal TIMs card (2000rps) and Langtang National Park entrance permit for 3500rps in Kathmandu before you sett of on the trek. There’s nowhere in SyapruBesi to obtain a TIMs card or permit. There’s 2 checkpoints on the way to SyapruBesi and one just outside of SyapruBesi where your permit will get checked. Would you say the trek is suitable for novice trekkers at this time? You mention having to cross a number of landslide areas that looked “dodgy”. When the few villages that was closed during my hike trough the area will reopen so will the hike be suitable for “everyone” the landslides are a bit dodgy but it shouldn’t be a problem if your able to split up the days a bit and do shorter distances then I did. The damage to the valley is catastrophic. There is still so much beauty in the grim state. More of a reason we should be visiting such trails and help the locals as much as we can. Great blog. Thanks for this Chris – very helpful – be interested to hear what you say about the terrain for less experienced hikers. I’m hoping to start trekking it early March. Thank you for posting this info; there is indeed a lot of uncertainty regarding the conditions of the trails and availability of accommodations & food in this area; your account is extremely helpful! I am wondering if you have any information regarding side-trips in the Langtang valley (mostly peak climbs, such as to Kyanjin Ri but not exclusively, any info will do); also, do you have knowledge regarding linking trail towards Gosainkunda & Langtang NP (to the South). Any idea if those trails are safe/passable/available and what the conditions are in those sections? Best regards & Thanks again! I unfortunately don’t have any information about peak climbing, but I did meet a older Japanese woman with a personal guide in Kyanjin Gompa that had spent one week ice climbing in the area, but I got no idea which peak they where climbing..
One of my friends that I did Langtang Valley trek with, did continue towards Gosaikunda. The trail from the Valley towards Gosaikunda is gone, so is the trail from SyapruBesi..
You HAVE to start you’re trek to Gosaikunda from DHUNCHE these days. Acording to my friend so is the path to Gosaikunda easy to find and without any damage, and most of the guesthouses only and minor damage from the earthquake. Unfortunately so there little to non working beeing done in the area by Nepali Government or any NGO’s, the works that’s being done in the area are by the locals that’s trying to get their life’s back to normal. I was there in november 2015 and we climbed, kynajin ri, and Tserko Ri. The path to go to the summits was like before and no affected by the earthquake. Thank you for posting this update! Thank you Richard! very helpful. I will pass this info fwd. Best, Inbar O. Found this site while researching Langtang trekking and volunteering in Langtang. Please take a look at these sites regarding hands-on volunteering and ways support is needed in the area. There’s a lot of on the ground blog coverage regarding the transport of goods, materials and help needed in rebuilding process. 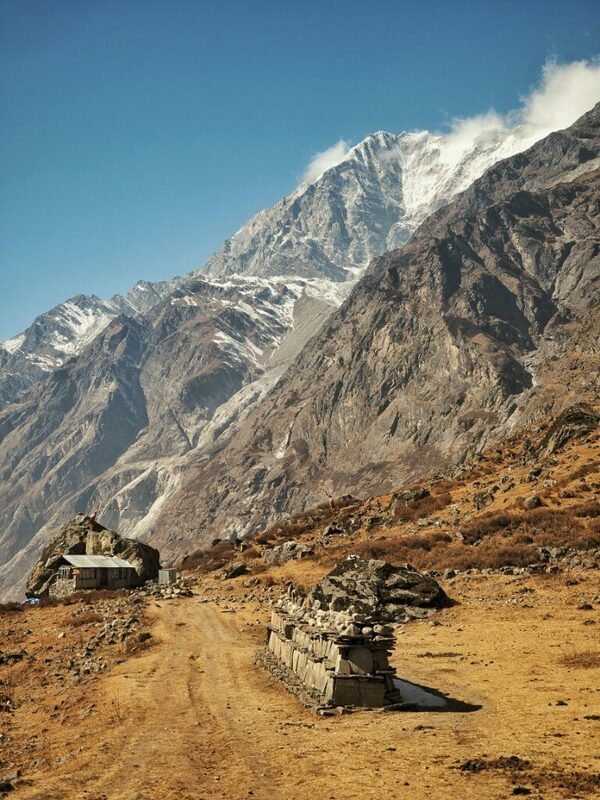 Hi Christian, thanks for sharing this information about the Langtang trek. It’s extremely helpful as I’m planning to do the trek at the end of March. Did you do the hike independently, and if so, was it difficult to find the path/ask for directions? I hiked Langtang Valley trek completely independent (with two other friends) and there was absolutely no problem to find the path during hike except across the biggest landslide,but the path across there should be better maintained now when the season is starting. Hi Christian, thanks for this it’s good to have a heads-up on the state of the trail. I was just wondering if you had to take a tent at all, or if other trekkers that you met were finding it necessary to travel with a tent? This blog post is the most recent update i’ve found of the trails, so i’m hoping that many of the things you have suggested have happened by now. Also with regards to food, did you have to cook yourself or was there enough open kitchens along the way offering food (plus supllimentary snacks you might have packed? I did not bring a tent, neither did any of the other people I meet during the trek, it’s actually very rare to bring your own tent on hikes in Nepal except on the more remote treks. But on other hand there was plenty of nice camping spots on the way where water was avaliable. I didn’t cook any food myself, all the guesthouses I passed on the way had kitchens and where offering food/snacks. The guesthouses also offerd basic snacks/supplies, like instant noddels, biscuits, pringels etc. I did this trek 10 days ago. Practically everything is open except Gumnachok and Langtang. Rimche and Lama hotel is fully open as is the stop after Woodlands (lovely people there) and even one place at Thyangsap Village. The locals are lovely and very pleased to see tourists. I stayed at Namaste guest house in Sherpapon and Tip Top in Mundu. There is a new bridge open just after woodlands. Hii Diana, thank you very much for the update, I will update the post with your info, what date did you start / finish the trek? What do you think the trek would be like in July? I can’t find much info on what it’s like in monsoon season? unfortunately trekking in Nepal during the summer months of June – July and August are the worst season for hiking in Nepal, more or less all accommodation closes down, and it’s a big change for landslides during the monsoon season. Just a quick comment about trekking in Nepali monsoon months. At first I also avoided these months, but since a few years I made several treks (all major treks) in July, August and it was just excellent. It’s so nicely quiet, most lodges open, very green, a shower so now and then with bright sun in between. Some days no rain at all, few days only rain. You have to be a bit lucky with the weather perhaps, but an umbrella solves many problems. I love it and I can recommend anybody trekking in Nepal during the monsoon months. Just try it yourself instead of following people who may have a complete different view on safety, comfort and attractiveness of wild nature… Good luck! Thanks for writing this up – it is very helpful. 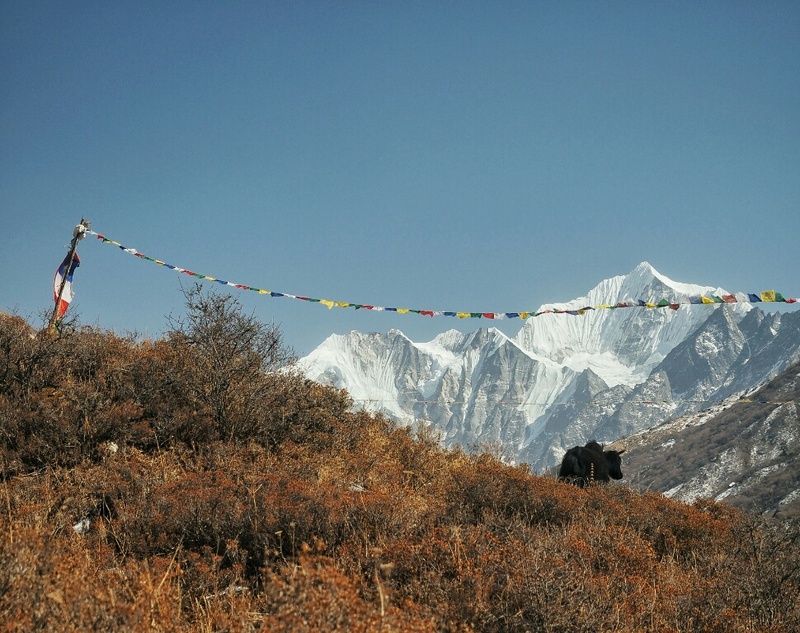 I will go to Kyanging Gomba/Langtang next week. 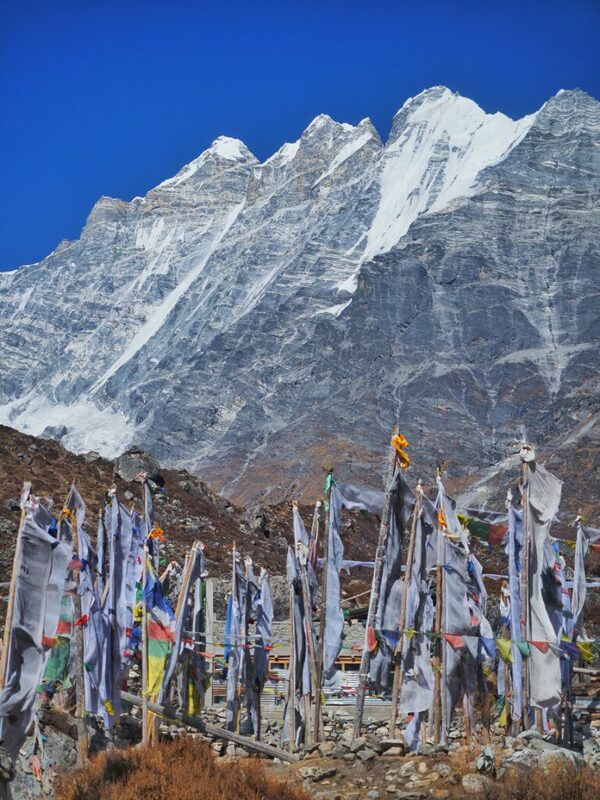 I was looking for something about the Langtang trek since the earthquake and found your blog. You have done just what I was looking for – described the hours of walking, trail conditions, availability of lodging and even the prices of food. Great photos too. Well Done! Wow, I like the way you have written the article.Keep it up. We must thank you for publishing such exact information about Langtang Valley after a massive earthquake. Keep it Up! 1.from where we do permit for langtang?? Is that tims kathmandu or tims dhunche or tims sayabrubensi??? 1. You will need to get the permit from Kathmandu. Nice picture with needed information that people are looking for Langtang Valley Trek. We going to there in this month.9 831199719 my WhatsApp no pls ping me.i hv some query . Thanks for the report. Its good to get up-to-date info. Especially that the lower path is again open. It’ll be my wife’s first time; the high path could have been a very challenging day. 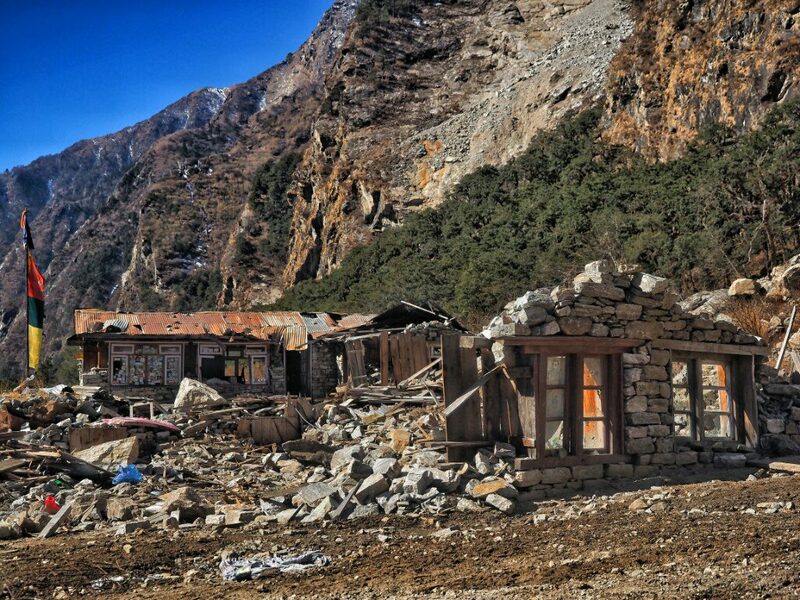 I’m sure that the villages of the Langtang Valley will recover well; the Nepalese are strong and resourceful. Happy Travels! Hello. I found some of the comments on this article helpful so would like to contribute in the hope that others seeking up to date information about Langtang will see it. Ive just completed a trek up Langtang Valley (Nov 2017). All tracks are open and all the villages have tea houses and lodges -after reconstruction, many even have hot showers, while some have Western bathrooms and even wifi. The locals asked us to spread this information as lonely planet still lists Langtang as closed and they are struggling economically to find the money to rebuild and recover due to the drop in trekking numbers. Thanks for the update. I will add it to my page shortly.